Café Ventoux have today announced that they are due to become the business base for Podium Ambition Pro Cycling. As keen supporters of women’s cycling Ventoux are excited to be announcing this news to collaborate with the team featuring team captain Dame Sarah Storey and Katie Archibald. Podium Ambition also have a sister cycling team, Boot out Breast Cancer Cycling Club. This was launched for fans of cycling to get closer to the lives of professional riders. 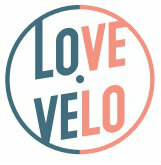 Its intended to be a is a club for everyone and anyone, any age and any level of participation in cycling. The club has its own kit which can be purchased on the club website, but now also will be available exclusively in the Café Ventoux boutique store too. Further information will be released onto the Café Ventoux website page dedicated to Podium Ambition Pro Cycling.